Situated in Southwestern Montana's Gallatin Valley, Belgrade (home to Madison River Brewing Company) is an outdoorsman's paradise. Within an hour, one can be skiing or biking in the Bridger Mountains or Big Sky area, enjoying a hike in one of seven mountain ranges, or fishing world-class rivers. The latter is where our name originated. The Madison River has earned the reputation as one of the best places to fly-fish in the world. Because the river is located in our backyard, current Brewmaster/President, Howard McMurry chose Madison River for the name of our world-class brewery. Sticking with the theme, most MRBC beers carry the name of a fishing fly. Madison River Brewing Company, Inc. started in 2004 when Howard purchased the brewery and equipment from Moab Brewing. At that time, we contract-brewed for Moab, Park City, and Big Hole breweries. In 2005, Madison River Brewing Company emerged when we received a state license to brew our own brands. Originally available only on draft, MRBC's first beer was the Hopper Pale Ale, which came out in September of 2005. Salmon Fly Honey Rye, now our flagship beer, followed shortly thereafter. 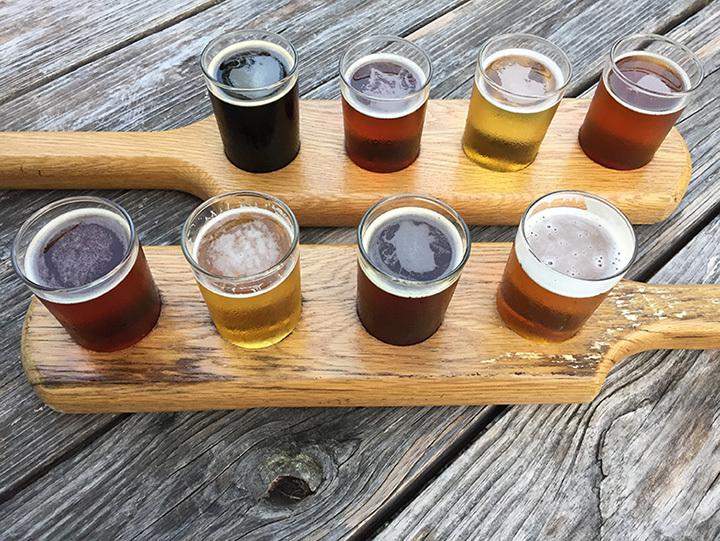 Copper John Scotch Ale, Irresistible ESB, and Yellow Humpy Hefeweizen emerged during the next year, completing the initial Madison River fleet (our Amber claimed the Irresistible moniker after a while, and Elk Hair ESB is now a rotating seasonal). Hopper Pale Ale and Salmon Fly Honey Rye bottles entered the market in September 2006, and MRBC started bottling Irresistible Amber and Copper John Scotch Ale in late 2007.